Robert Bly’s 1990 bestseller is credited with bringing the “men’s movement”—or at least the “mythopoetic men’s movement” to the attention of the wider world. 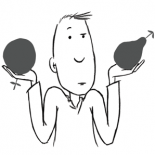 It is a parable about a boy making the transition into manhood that draws on Jungian psychology and the work of the Brothers Grimm to create a modern day myth that aims to pass on ancient lessons that are relevant to modern men. Iron John spent over a year on The New York Times Beset Seller list and is still considered a to be essential reading for those interested in men’s rites of passage of the mythopoetic men’s movement. 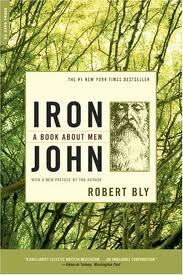 The Robert Bly website describes the books as his “high-water mark as a prose stylist” adding that” Bly sustains a complex, multi-faceted discussion of the Grimm Brothers’ fairy tale “Iron John” for over 200 pages, examining the story and its implications from mythological, psychological and everyday perspectives”. This entry was posted on September 25, 2013 by equality4menuk in #books4men, books about masculinity, books about spirituality and tagged Iron John, Robert Bly.